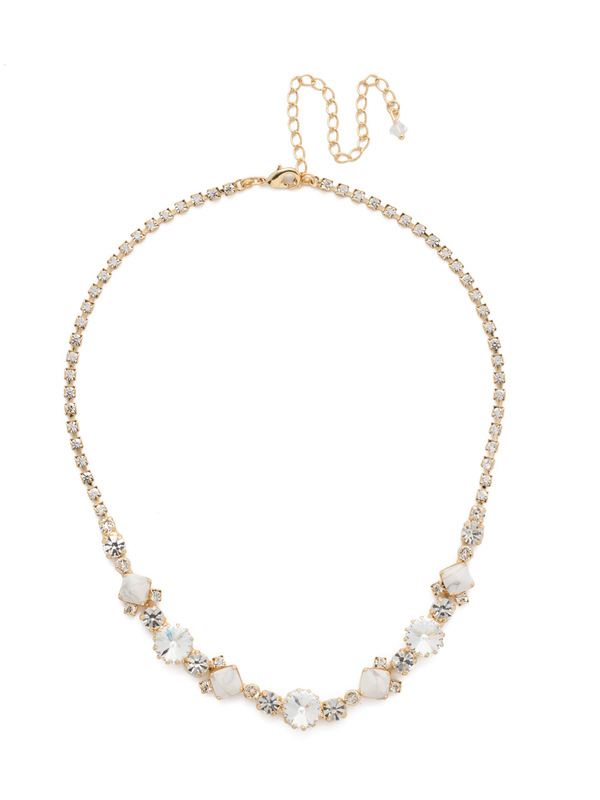 Our Classic Chiffon Line Necklace is the perfect blend of crystals and semi-precious stones. This necklace has it all! 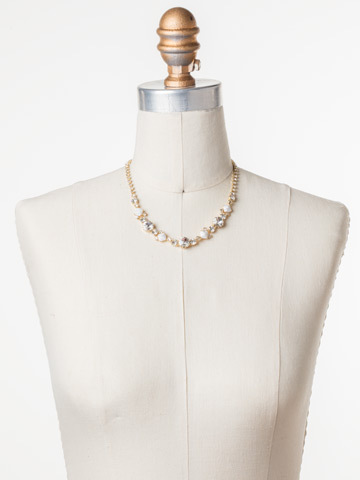 Rhinestone chain completes this design for all around sparkle.